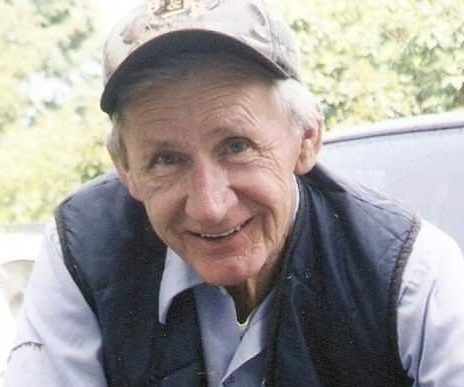 Charles Junior Smith, 78, of Waltz Road, Chewsville, MD, passed away Sunday, December 2, 2018 at Hospice of Washington County Doey’s House in Hagerstown, MD. Born Friday, June 28, 1940 in Greensburg, MD, he was the son of the late Roy Calvin Smith and Emma Hazel (Cline) Smith. He was preceded in death by his wife of 58 years, Charlotte Ruth (Willard) Smith, October 23, 2017. They were married June 19, 1958. He attended Smithsburg High School. He was employed through the years by Gardenhour Orchards of Smithsburg, MD, and Horst Milk Transfer of Hagerstown, MD. He is survived by sons, Roy Smith and wife Donna and James Smith and wife Jean, daughters, Penny Saunders and husband Lee, Barbie Briley and Pamela Smith and husband Gregory and numerous grandchildren, great grandchildren, nieces and nephews. He was preceded in death by one sister, Hazel Smith and five brothers, Ruben, Raymond, Ralph, Robert and Lester. Services will be held Friday, December 7, 2018 at 2:00pm at Christ Reformed United Church of Christ, Cavetown, MD, with Rev. Kenneth D. Fuller officiating. Burial will be in Ringgold Cemetery. The family will receive friends Thursday evening from 7-9pm at J.L. Davis Funeral Home, Smithsburg, MD. Online condolences may be offered at, www.jldavisfh.com.